Here are 10 home-improvement projects that can make life in a current home more enjoyable in the short term and pay big dividends for the homeowners when the time comes to sell the home. Add Outdoor Living Space With A New Or Improved Deck. Add on a new deck or upgrade your current by replacing your current deck boards and railing with the latest in composite materials and cut back on the lost time each year maintaining these structures. The additional cost of these materials will reduce the time and money spent refinishing decks year after year and will pay for themselves in the end. Curb Appeal. Invest in the landscape. Nothing makes a better first impression than a well-manicured lawn and continuously maintained shrubs and flower beds. Buyers immediately form opinions of how well the interior of a home is cared for by the look of the exterior. Curb appeal is a very important aspect that should never be overlooked. Energy Efficiency Upgrades. Replace old, leaky windows with energy-efficient vinyl windows. Not only will new windows make the whole house look better, but ENERGY STAR® compliant windows help save on heating and cooling bills all year long. For added safety and security, consider impact-resistant windows. Much like a car windshield, these laminated windows won’t shatter if they’re broken, thus reducing damage inside the home from storms or break-in attempts. The clients may benefit from a discount in their insurance premiums, too. Also consider extra UV protection by using window film for large west facing windows. Home Office Space. Create a designated home-office space. Whether it’s just part of a room partitioned off with an obscure acrylic-block wall to create a private nook or an entire room, home offices are essential parts of today’s living. The multifunctional space can be used for studying, paying bills, writing or running a home business. Crown Molding & Trim Accents. Treat ceilings as the fifth wall of a room. Accent and embellish them with crown molding, beaded plywood, paints or decorative finishes. Consider adding a lightweight urethane ceiling medallion around ceiling lights and fans. Two-piece medallions snap into place in less than five minutes to add more ambiance to a room. Add On Living Space. Expand living space by adding a deck or sun-room. Increasing the amount of usable space in a home always equates to adding more value. Whether it’s placing an awning over a patio area, converting a screened-in porch to a sun-room or adding a deck, the creation of more living space makes life more enjoyable for homeowners now and adds an appealing selling feature for the future. Exterior Trim Upgrades. Trim out exterior windows and doors. If there is old, rotting wood around windows (or no trim at all), suggest low-maintenance, all-weather PVC millwork, which resists insects, rot and termites. Exterior Cleaning. Remove mildew from a home’s exterior and prevent it from coming back. Start by killing any mildew by using a garden sprayer and a mildecide, which kills mildew without harming your siding, shrubs or grass. Once the mildew is dead, prevent it from coming back by using a mold- and mildew-proof paint. Bring The Light In. Upgrade the master bathroom with a tub window. Durable acrylic-block windows provide privacy in the bathroom while allowing light into the room. A decorative bathroom window over the tub serves as a focal point in the room. Add A Bay Window. Bump out to a bay or bow window. Along with adding extra living space, bay and bow windows add instant visual interior and exterior appeal to homes. People value the extended space that can add room for a window seat, highlight a Christmas tree or simply bring more light into the home. With today’s new lightweight, flat screen TV’s showing up in living rooms around the world, there are a wide range of reasons to mount your TV, rather than having it set up on a stand. Wall mounted televisions turn a functional entertainment device into an actual artistic statement, but if that isn’t enough to convince you, there are a number of other reasons to go with mounting your TV on the wall. A professional will get the job done right the first time, saving you time and possibly money. 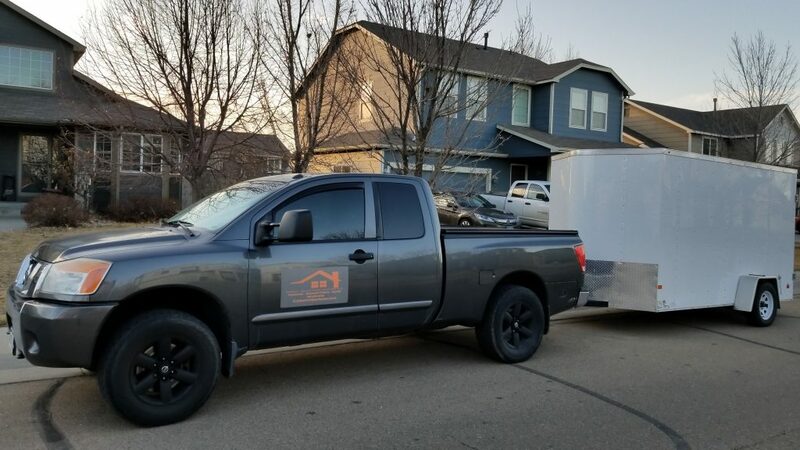 But before you call, here’s what you need to know about what to get, and how much it may cost to have someone do this job for you. Take time to determine the ideal place for your flat screen TV before mounting it to your wall. As good as it may look mounting it over the fireplace, that location may not be the best. Keep in mind that heat generated from fireplaces aren’t the best thing for electronics. Also, make sure you consider possible glare from a nearby window. The backs of most TVs made in the last 10 years or so have mounting holes in a square or rectangular pattern. VESA Mount Compatibility numbers represent standardized vertical and horizontal patterns for those wall mount holes. VESA numbers are metric and range from 50mm to 800mm. If you have your owner’s manual for a compliant TV, the VESA numbers should be listed. If the pattern is rectangular, the vertical measure is the smaller. A bracket’s VESA numbers should match or be larger than the TV’s VESA numbers. If you’re putting up a TV you already own and don’t know its VESA numbers, note the screen’s diagonal measurement, the TV’s weight and the distance between the two vertical mounting holes and the two horizontal ones. You can measure in inches and pounds and then translate those measurements to metric. According to Costhelper.com, brackets can range from $25 to $75 for a lightweight one and $80 to $300 or more for a more durable one that tilts, angles or has articulating arms that let you move the TV off the wall or swivel around corners. Commercial style mounts, such as those in a bar, can cost $300 to $1,200+. A simple flat screen TV wall mount installation that does not require special wiring can run from $129 to $200 to install, while the more common wall mount installation can cost $200 to $500+. Customers who had TV mounts installed reported paying an average of $336, with a range of $149 to $786. The cost was to put up one TV and does not reflect discounts that many service providers offer to members for multiple installations at one time. Doing it yourself may seem like a relatively simple task. But, how will you feel if you spend hours on the project only to find out the TV’s crooked or doesn’t work properly? Although this is a pretty straightforward job, it’s important to mount the TV properly. Not doing so can lead to the TV sliding down or falling off the mount. Your TV should sit at a comfortable viewing height. If it doesn’t, you will likely need to pay for adjustments later. Contact Us to take advantage of this limited time offer today! *Pricing is based on standard drywall installation including articulating wall mount for 26-55″ TV’s, into standard interior wood/metal framed drywall with anchors included. Home renovations and doing home remodeling projects are the perfect time to also think about ways to save money with efficient home improvements. 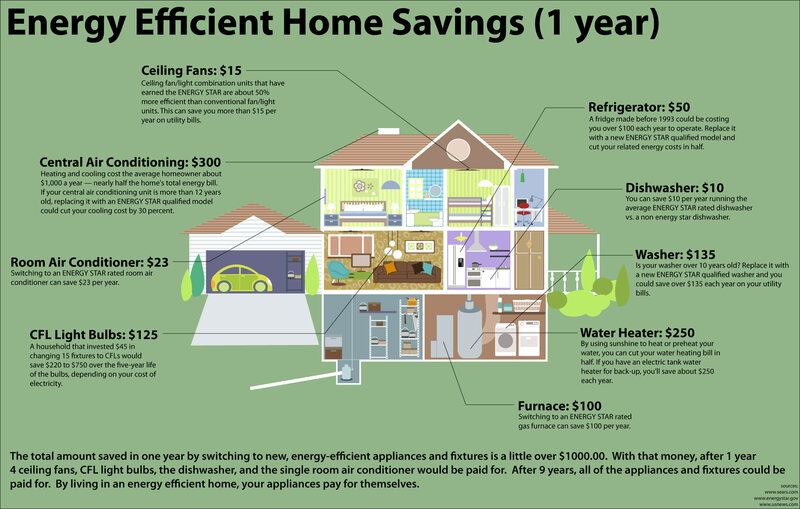 Many homeowners have taken inventory of their home and realized there are several ways to not only improve their homes, but to add efficiency to the list. Another added bonus other than saving on your energy bill is the fact that these are terrific investment projects for your home if you are thinking of selling in the future. 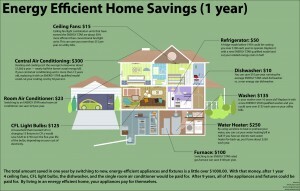 Let’s start with basic energy-efficient projects that can not only save money, but also add value to your home. Most of these ideas are affordable, easy, and common. Our first and one of the easiest energy efficiency improvements is going to be switching to compact fluorescent (CFL) or LED light bulbs. These light bulbs last considerably longer than standard incandescent bulbs. Ceiling fans are trendy and can really update a home, but they are also another great way to add efficiency to your home. Expect to see a $15 decrease in your energy bill per year from a ceiling fan. Programmable thermostats are another excellent way to save money. These devices can save as much as $150 per year, plus a growing number of these thermostats are now instantly and remotely accessible through a smartphone app. Which is a very handy when you’re away, the weather changes outside and you may be concerned about freezing pipes indoors. Installing “low-flow” fixtures is another great energy efficient improvement. A new shower head for $20 can save up to $145 per year! Not only are you saving water, but many of these fixtures also have a new updated look. Any homeowners worried about the installation process can look to their local handyman for this easy-to-install fixture. This entire project should not take more than a few hours. Fiberglass insulation is another excellent improvement for homeowners. Any climate or region is going to appreciate the benefits of fiberglass insulation This upgrade is great for keeping a home warm or cold during the different seasons throughout the year. Imagine saving 20% with a simple switch to fiberglass insulation. This is also a great project for newer homes that no longer come with insulation on the inside of exterior walls. Invest in newer ENERGY STAR® rated appliances. Older dishwashers generally use around 10 gallons of water per cycle which is almost double what a newer model of dishwasher will use. By upgrading your washer, you could save around $8 per year or the other option is cleaning/repairing your older dishwasher. Weather stripping is another great way to improve the efficiency in your home. Older homes are ideal candidates for new weather stripping. Air leaking in/out can lose up to 40% of heating and cooling. That is drastic, but it can be solved with the installation of new weather stripping found at local hardware stores for an average of $5. Installing a tankless water heater is also a great energy-efficient installation. Not only are you able to decrease your water bill by 20%, but a tankless water heater will also last longer. There is never a shortage of hot water, plus homeowners will qualify for a federal tax rebate. Windows play a huge part in efficiency. 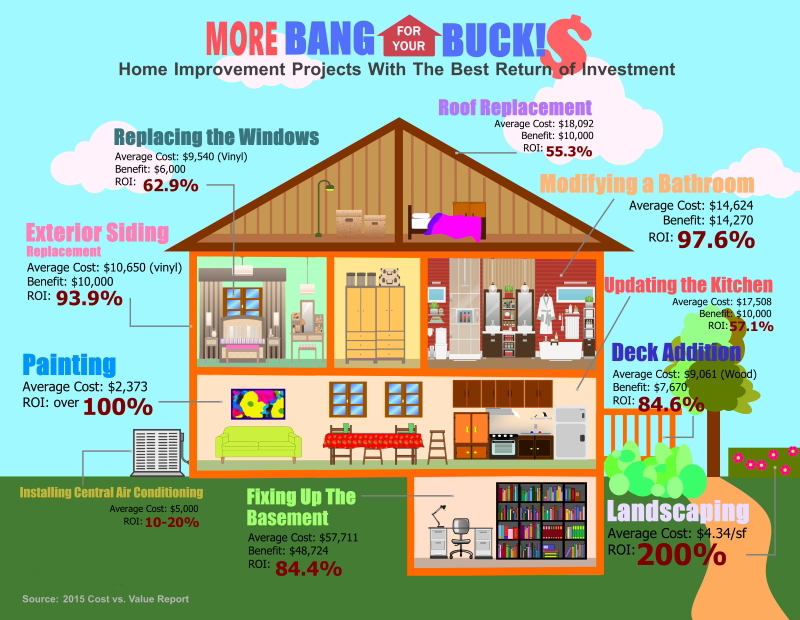 Homeowners are always seeking investments and improvements that will pay off. High performance windows are a smart move for many reasons, but these windows will also protect your furniture and other items that could be in the way of damaging UV rays. 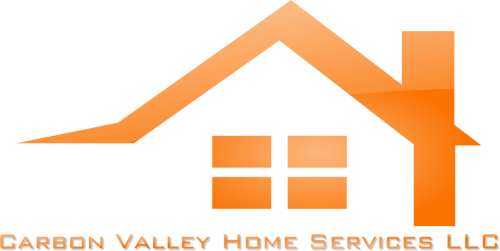 A/C & furnace air filters are most efficient when they are replaced every 30 days. This is actually something that homeowners often forget to do. Homeowners should also pay attention to how their unit is performing, a high performing air conditioning unit will save you money in the long run.